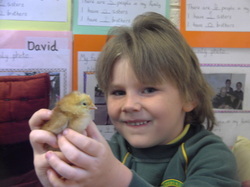 Enjoy the summer holidays everyone!!!!!! 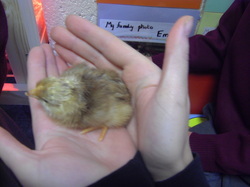 Welcome to our baby chicks!! 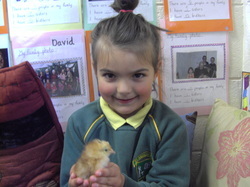 Our Junior and Senior Infants were very excited to welcome two baby chicks, who were hatched in a special incubator in our classroom.